Attah made this known on Monday when the NYSC Director-General, Maj.-Gen. Suleiman Kazaure visited the Osun NYSC permanent orientation camp in Ede, Osun State. He, however, said that those redeployed on health grounds were initially given primary treatment in the camp before they were sent home for further medical attention. The state coordinator disclosed that a total of 2,329 corps members comprising 1,252 males and 1,077 females were deployed to the state for the batch A orientation camp. The NYSC director-general congratulated the corps members for graduating and making it to the NYSC to serve their fatherland. 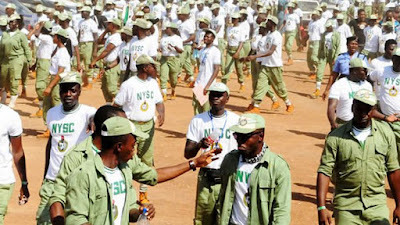 Represented by Mr Leke Abiodun, the NYSC Director of Audit, Kazaure warned members against “frivolous and unauthorised travelling.” According to him, any corps member who wishes to travel must inform and seek permission from officials of the scheme before embarking on any journey. He said that the scheme had established skill acquisition centres all over the country and asked the NYSC members to make use of the opportunity to learn and acquire skills and not waste their year of service not learning a vocation. Kazaure also tasked the members to respect the customs and tradition of their host communities.